Give your knees a break! Tired of juggling plates of food on your knees? 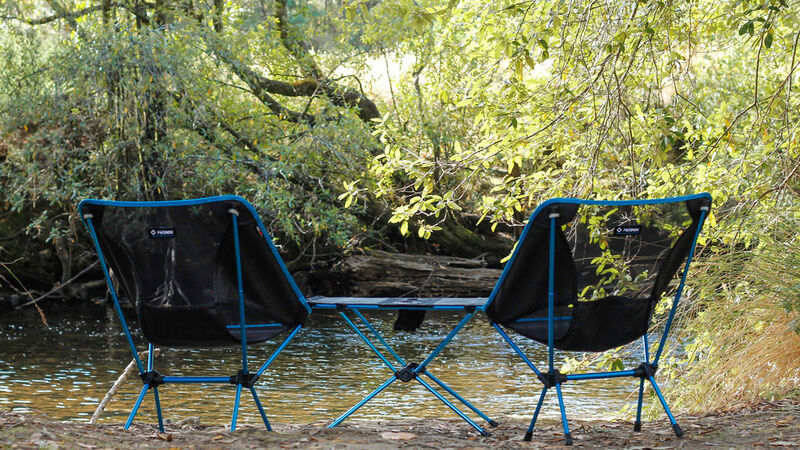 Give them a break by using a camp table from Helinox! You'll not only enjoy your meal more, you'll also have space for drinks, snacks and somewhere safe for the camera or phone. The original ultralight Table One with a mesh top and recessed cup holders is where it all started. Now we've upscaled the hard-top version to create Table One Large (also known as Table One Hard Top L).